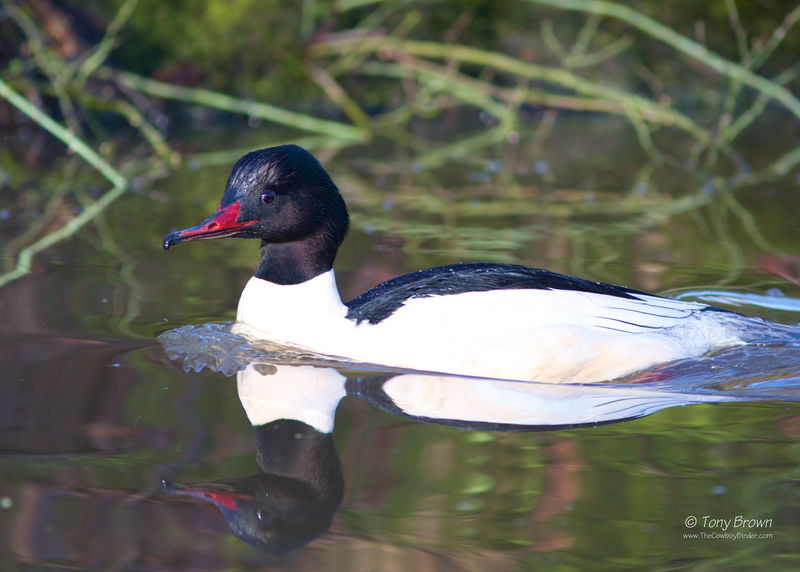 The Cowboy Birder: Have a Goosander, have two! "No hour of life is wasted that is spent in the field". Have a Goosander, have two! With news of a pair of Goosander enjoying the delights of Connaught Water alongside the usual collection of fence hoppers, I stopped by early morning to have a quick look. The beauty of Connaught Water is you have a car park directly opposite the lake and a circular trail you can cover in fifteen minutes, and that's as much time as I needed to get cracking views of both male and female sawbills. 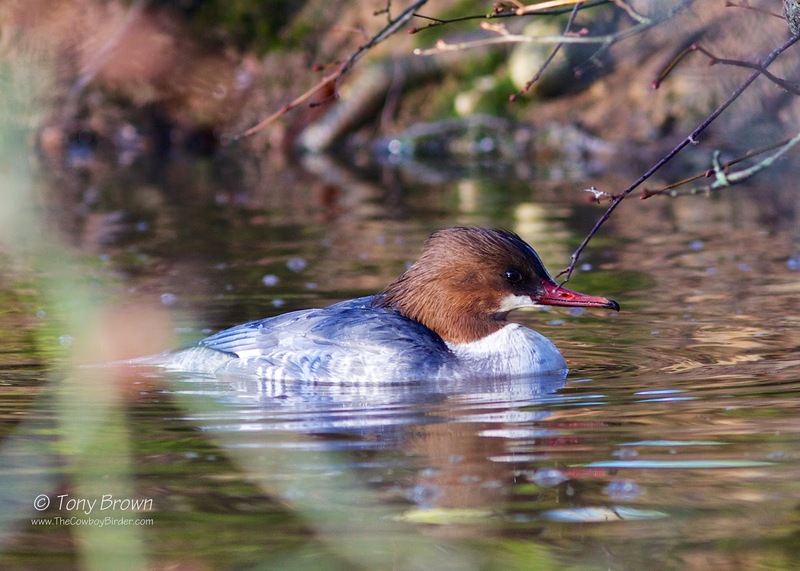 I've seen Goosander at Connaught Water in previous Winters, but typically these has just been single birds in the middle of the lake, but the two today must have swapped notes with that Slavonian Grebe down the road at Wanstead, as yet another species of winter wildfowl delivers terrific views - Let's hope 2015 continues in this vain, as a local Great northern Diver would go down a treat! Follow that STAR . . .
A sad state of affairs. Travel theme. Theme images by MarkCoffeyPhoto. Powered by Blogger.